Corporate Responsibility (CR) Month took place from May - June 2017. This annual corporate event is held across Bacardi sites and offices and is an opportunity for personnel to support projects in their local communities that are relevant to them. The company gives at least one day to work on an activity together. CR Ambassadors in each region are provided with a toolkit that includes examples and ideas for encouraging local staff to take part in CR Month. Local sites have the freedom, within the CR Month guidelines, to choose projects relevant to their staff and communities. In FY18, 27%* of Bacardi employees participated in a CR Month activity in 29 countries. Thirty-eight Bacardi offices and manufacturing sites reported holding at least one activity, with a total of more than 12,000 volunteer hours. *While 27% is a low number and we hope to grow engagement moving forward, we benchmarked our data against the London Benchmarking Group's yearly report and it is above average for employee volunteer percentages across their member companies. 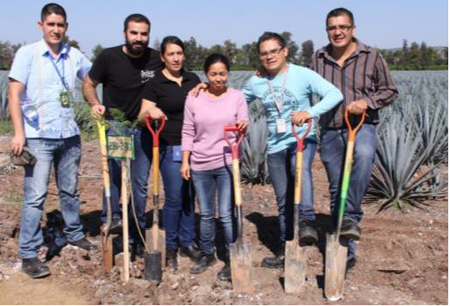 Our newest Patrón employees are also committed to supporting their community. Thanks to Patrón’s support over the last year, more than 1,100 families from Atotonilco (where the tequila facility is located) received basic food supplies every two weeks. 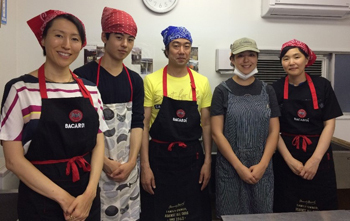 In addition, their volunteer group supported various activities throughout the year, including donations to local group homes, tree reforestation, painting and refurbishing local NGO centers, serving meals to needy families, and spending time with seniors at their residence facilities. 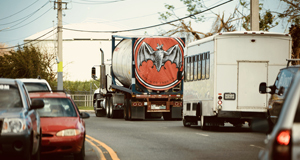 Immediately following Hurricane Maria’s landfall, Bacardi Limited and the Bacardi family committed more than $3 million for disaster relief and recovery efforts in the impacted areas with more than $2 million being dedicated to Puerto Rico. Major grants have been provided to help Puerto Rico recover and rebuild. This includes a $1 million grant to Mercy Corps to support tourism recovery through trainings and grants to small and medium enterprises, natural area rehabilitation and an outreach campaign; and $300,000 to Unidos por Puerto Rico for organizations working on social services, food and water distribution, and health and housing for Puerto Rico citizens. Through an island-wide outreach campaign in FY19, Bacardi and Mercy Corps will promote that businesses and natural areas are ready to welcome tourists, with the goal of driving tourism and commerce. Our Bacardi staff ran and managed two Emergency Stop & Go community relief centers, one in Toa Baja (very near Cataño where the distillery is located) and one in San Juan. 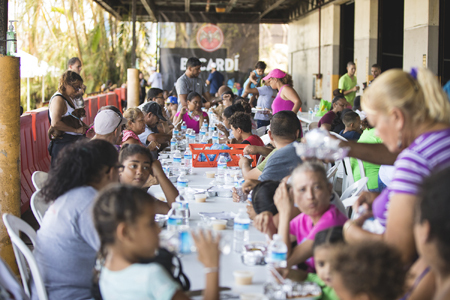 The Bacardi-supported Emergency Stop & Go community relief centers provided hot meals, water, cell phone charging stations, medical services, access to government agencies, and activities for families at each center. We also activated 12 mobile relief caravans to deliver food, water, and medical services to 12 of the hardest hit areas across the island. This initiative was called Bacardi Contigo. BACARDÍ rum committed $1.3 million to the TIDAL X: Brooklyn benefit concert in NYC, which took place on October 17 at the Barclays Center in New York and raised $3.7 million. From Bacardi’s sponsorship, $717,000 was directed to the Global Giving Foundation, which provided charitable donations to disaster relief efforts in Puerto Rico, Mexico, Houston, Florida and the Caribbean. In addition to our Puerto Rico relief efforts, Bacardi donated $50,000 to organizations in Mexico who provided emergency disaster relief to communities hit by the earthquakes. Bacardi in the U.S. was proud to donate $50,000 and match an additional $10,000 to Southern Glazers Wine & Spirits Employee Relief Fund, set up after the devastation of Hurricane Harvey in Houston, Texas. This money went to support employees who lost homes due to the floods. Access to safe water and sanitation is a major challenge in Nigeria. 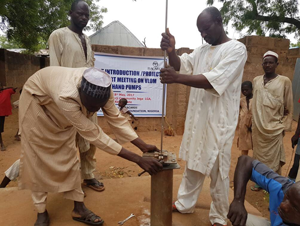 Working in partnership with the Tulsi Chanrai Foundation, the Bacardi Middle East and Africa team were able to repair and/or rehabilitate more than 60 handpumps in Kebbi State and train private local area mechanics and WASHCOMs (Water and Sanitation Hygiene Committee) to ensure upkeep of the handpumps and safe hygiene practices. It was also important to provide the training to empower the community to take responsibility for their safe drinking water facilities. Now, more than 17,000 residents have access to safe drinking water.